Optional Assembly Service - Get your items Delivered and Assembled Together! 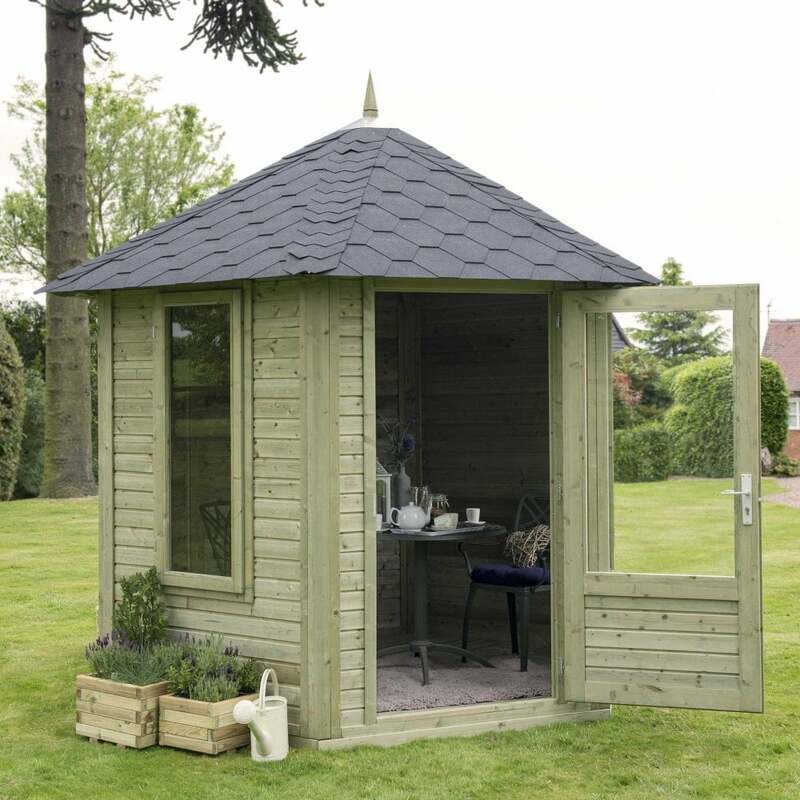 Forest Garden Henley Summer House: An elegant hexagonal summerhouse made from highly durable kiln dried, pressure treated soft-woods sourced from forests that are well managed and approved by the FSC (Forestry Stewardship Council). With its large single door and fixed windows this summer house is a durable and very attractive garden feature. When Choosing the Delivery Option an additional 7 days is added to the expected lead time. Showing our 2 Forest Garden Henley Summer House reviews with an average rating of Excellent. Would you like to write a review?